Imagine when someone wants to show you a photo on their phone but it takes forever as they scroll through tons of photos to find the one they want you to see. Wouldn't it be nice if instead you could just retrieve photos by voice command?". That question was the inspiration for Photo Recall. Photo Recall allows you to retrieve beautiful public domain photos using simple phrases like "show me food photos" plus it lets you load your own photos and videos using Custom Voice Commands that you create like "show me the 2018 holiday office party photos".or "show me the video of my dog attacking my shoe". Each voice shows the most recent photos linked to that phrase. I used APL and Node.js and REST calls to my server running in the AWS cloud as an EC2 instance. I would really like a slideshow of images and videos and when a video was encountered the slideshow would pause while the video auto-played but I could not find a way to do this. I got it to work and am proud to be one of the first photo-centric skills. I learned that life is tough on the bleeding edge. We could really use better documentation or even just more code samples and we could also really use a lot more help with discovery! Add support for many more photo categories like "show me lightning photos" or "show me animal photos". Photo Recall lets you retrieve photos and videos by voice command. You can use simple phrases like "show me nature photos" or "show me 2018 holiday office party photos".or whatever. Plus photos and videos can appear together in the same slideshow! To view a public domain photo say something like "Alexa, ask Photo Recall to show me food photos" and to view a demo video say "Alexa, ask Photo Recall to show me the test video". 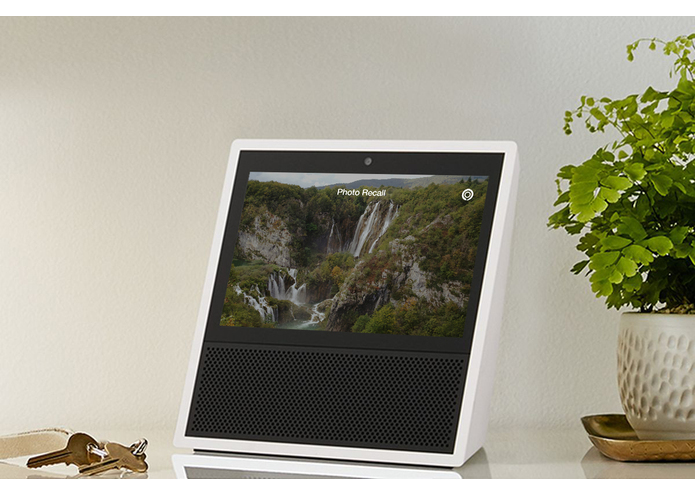 With Photo Recall, you can take a photo or video with your smartphone, tag it with a voice command like "pet photos" and view it from your Amazon Echo Show (e.g. "Alexa, ask Photo Recall to show me my pet photos"). You can have 7 photos at a time tagged with the same voice command only the latest 7 are kept. Add a date if you need more (e.g. "pet photos from May 2018"). Bored? Use Photo Recall to view beautiful photos anytime from your Alexa device just say "Alexa, ask Photo Recall to show me the photo of the day".